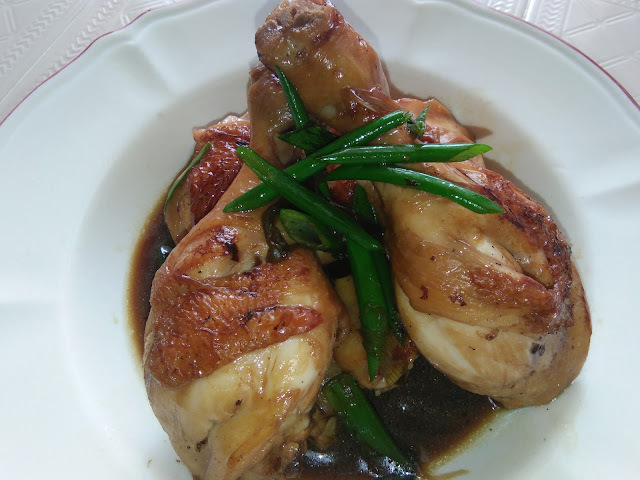 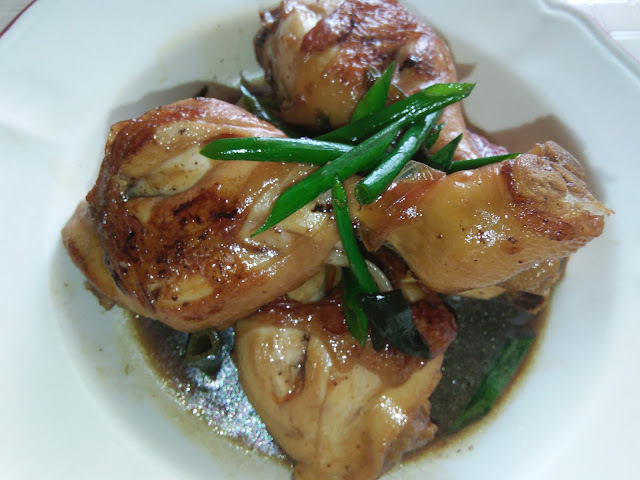 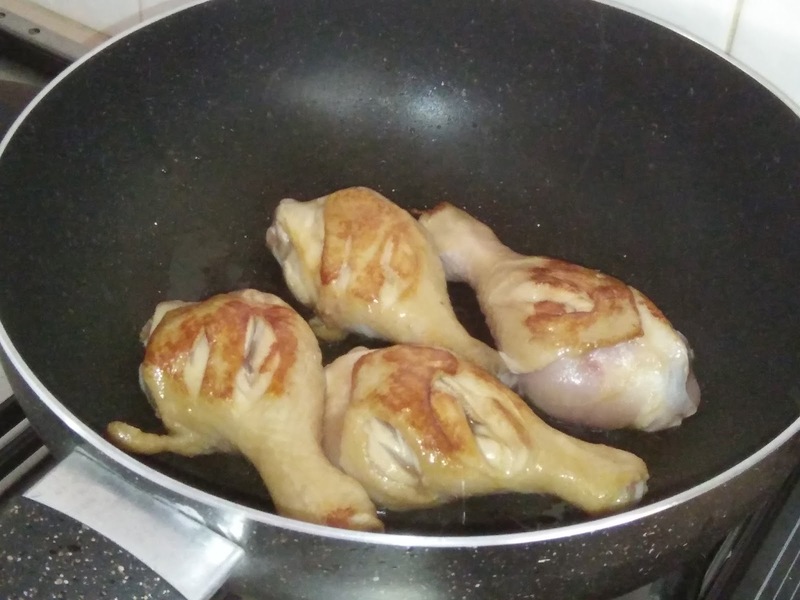 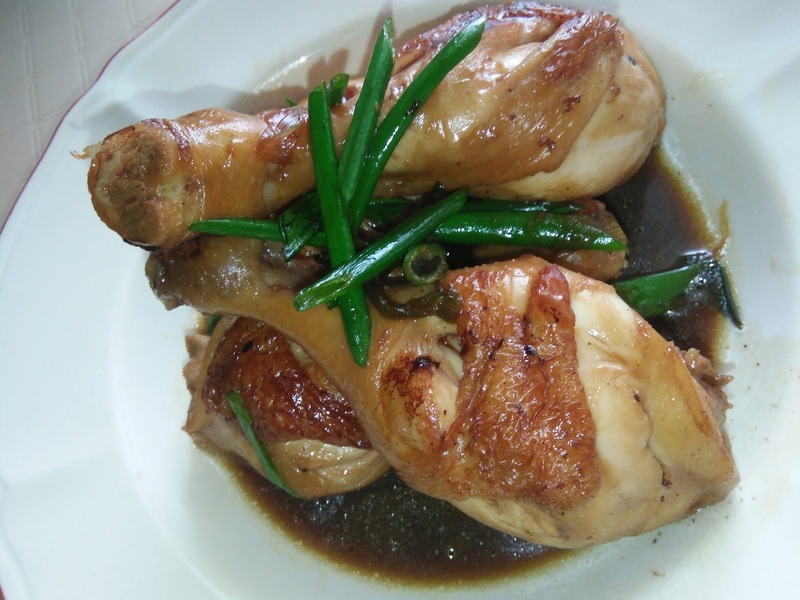 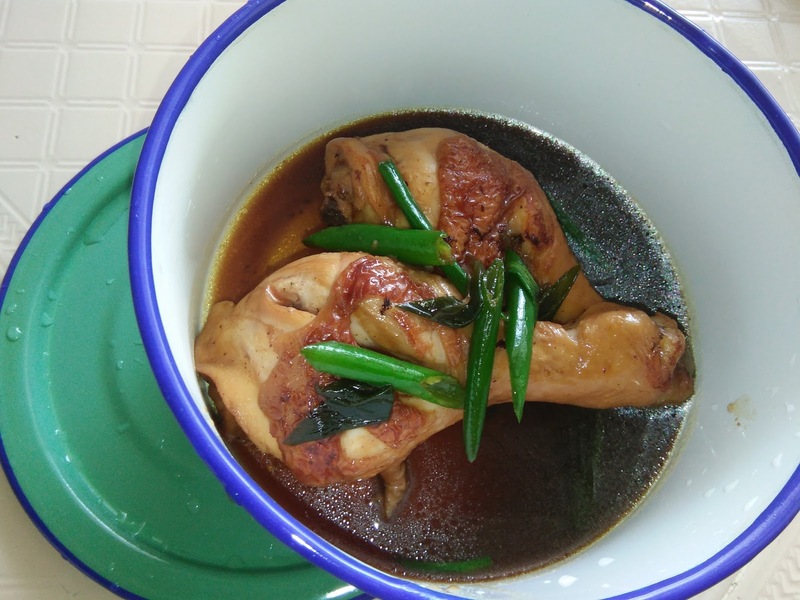 What can be more easier than this recipe to cook an oyster flavoured chicken drumsticks? Ingredients are few, seasoning easily available in any kitchen, cooking method is also simple. 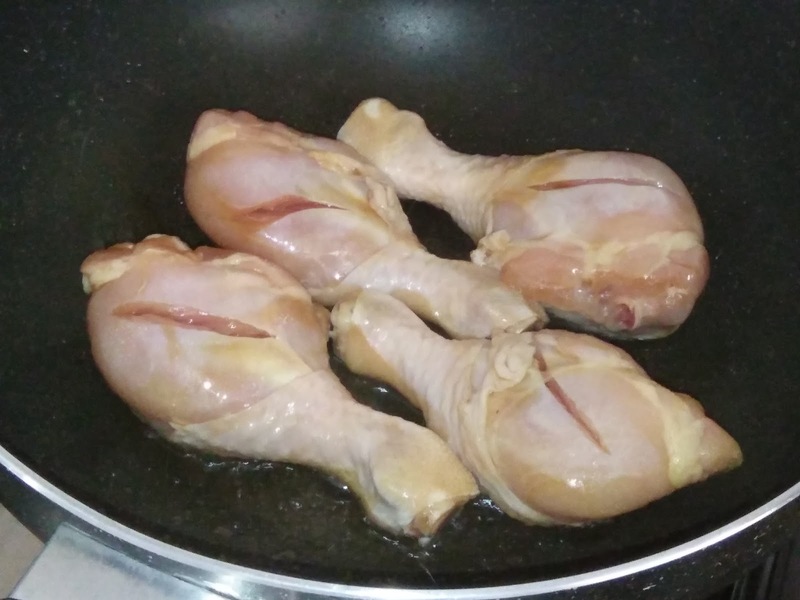 Yet, this chicken dish tastes awesome. 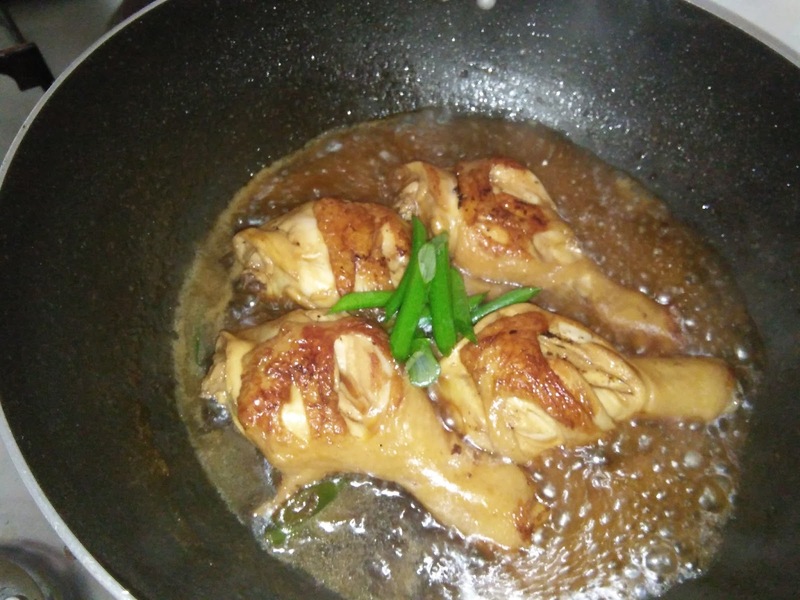 It is aromatic, tasty and delicious with steaming hot rice. 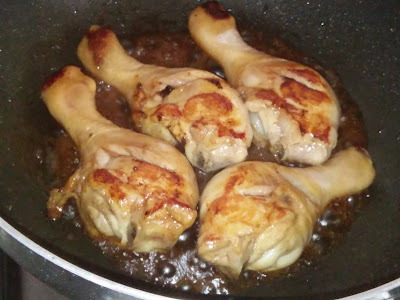 These drumsticks look so tempting. Lightly season the drumsticks with some light soy sauce. Heat a non stick wok with some oil, pan fry drumsticks to brown. Add in some spring onions and seasoning [except the oyster sauce], then water. 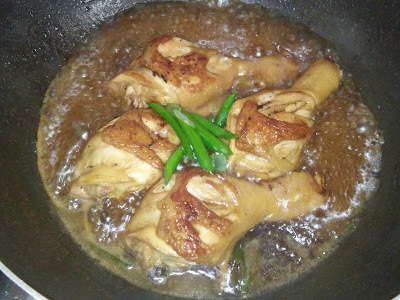 Bring to boil and braise for about 5 minutes before adding the oyster sauce and some spring onions. 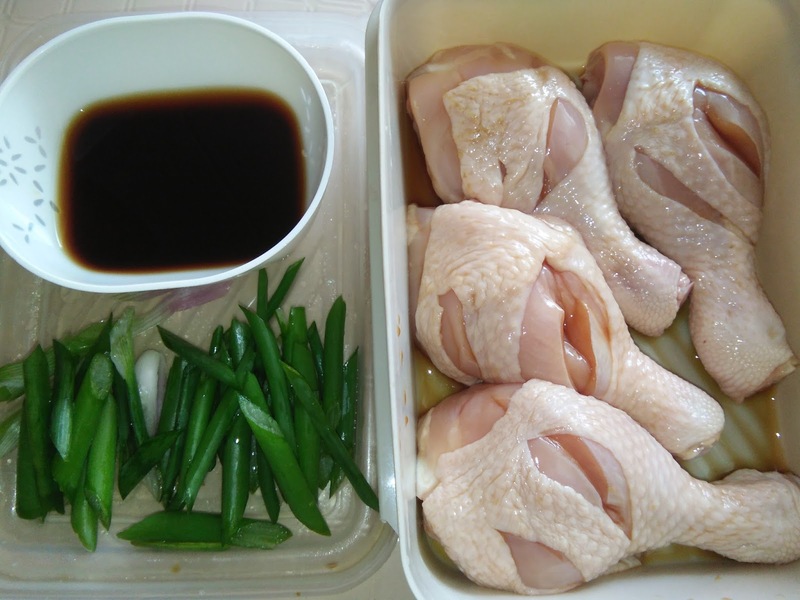 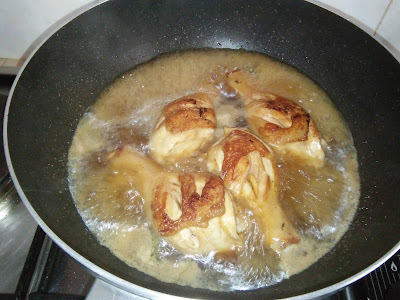 Continue to cook until chicken is tender and sauce is reduced. 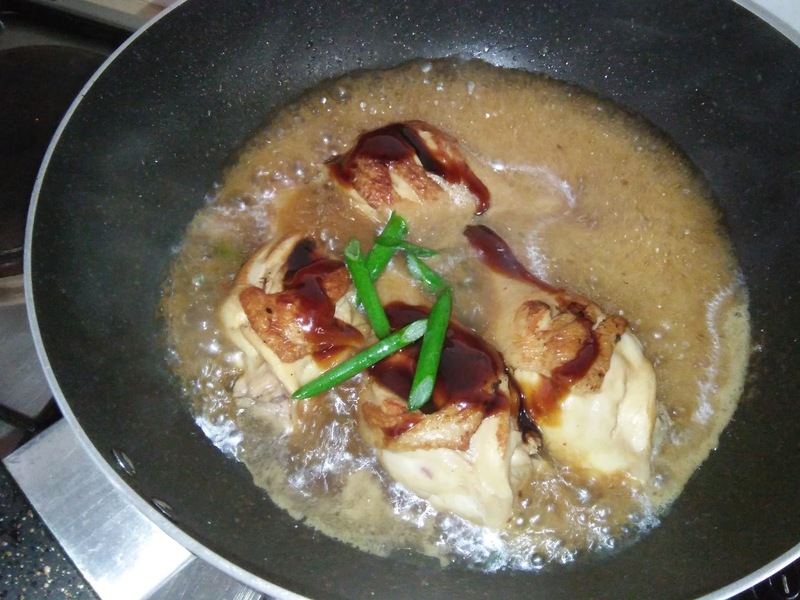 Dish up to serve. 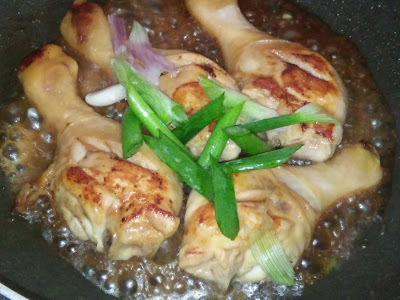 Garnish with some spring onions.